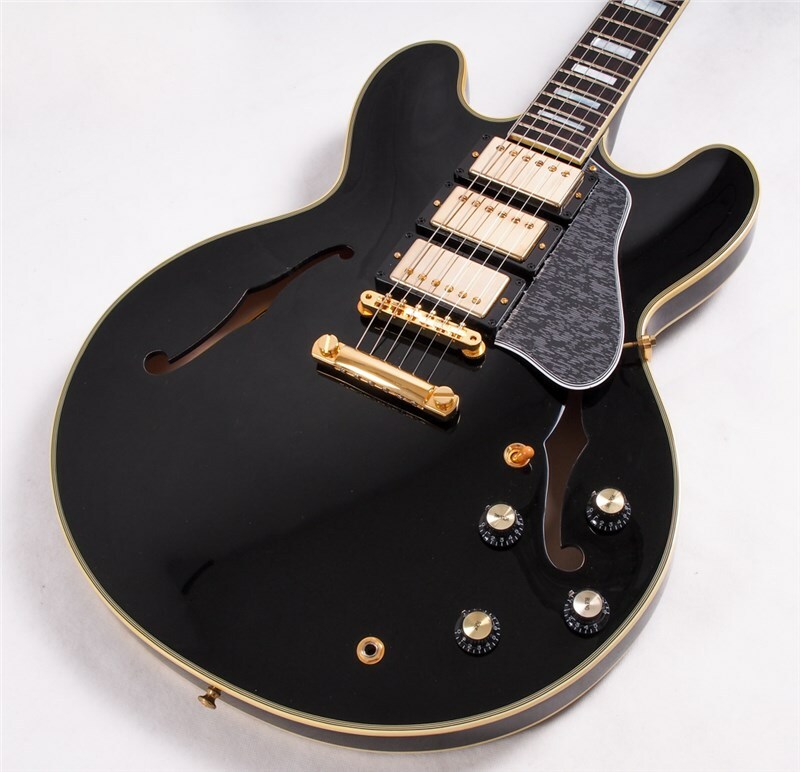 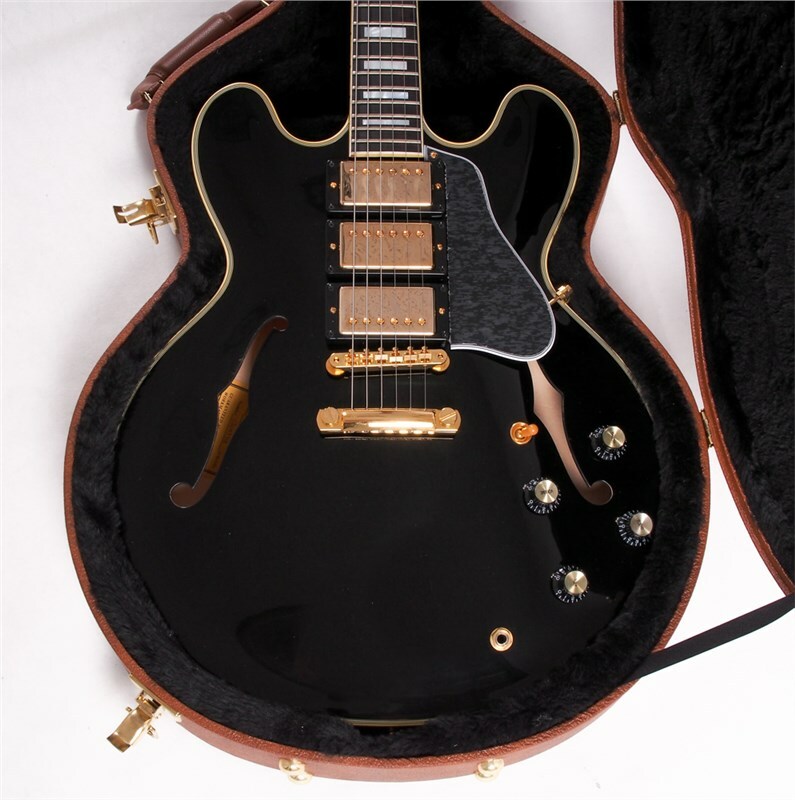 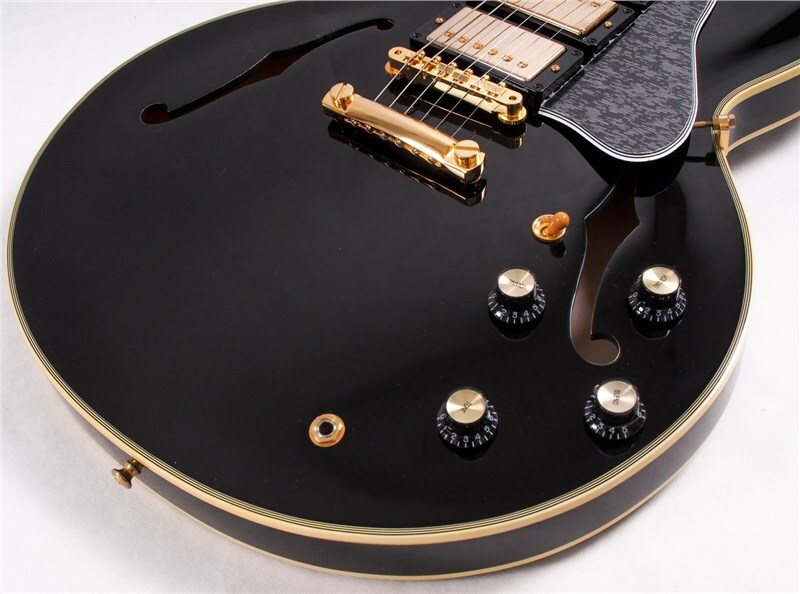 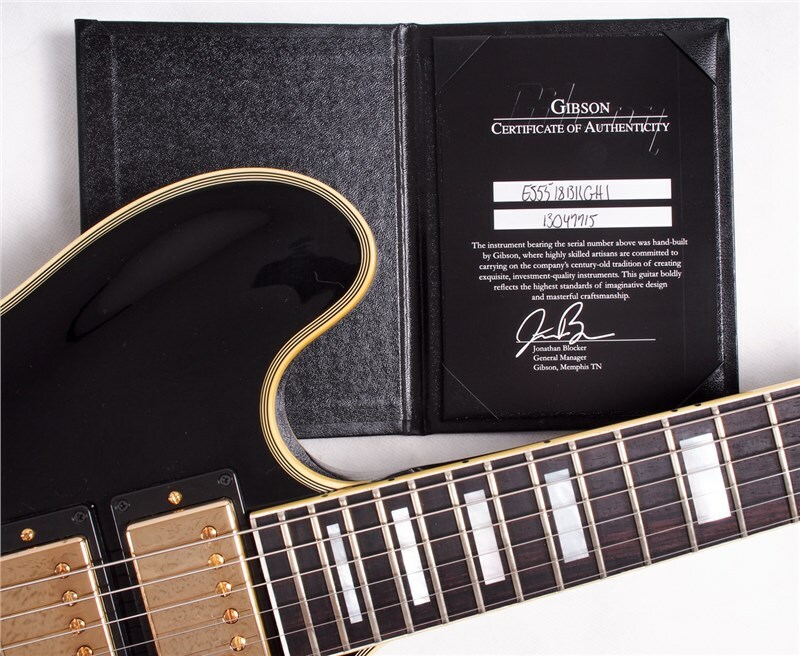 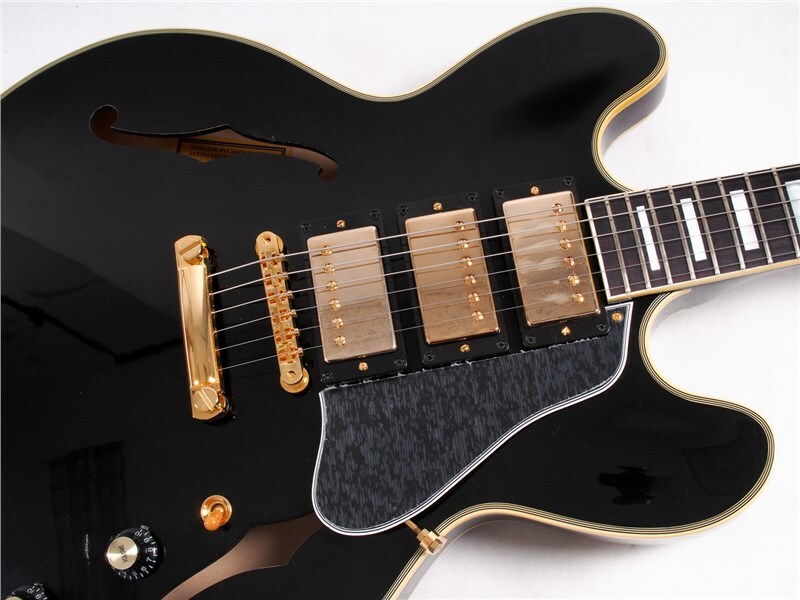 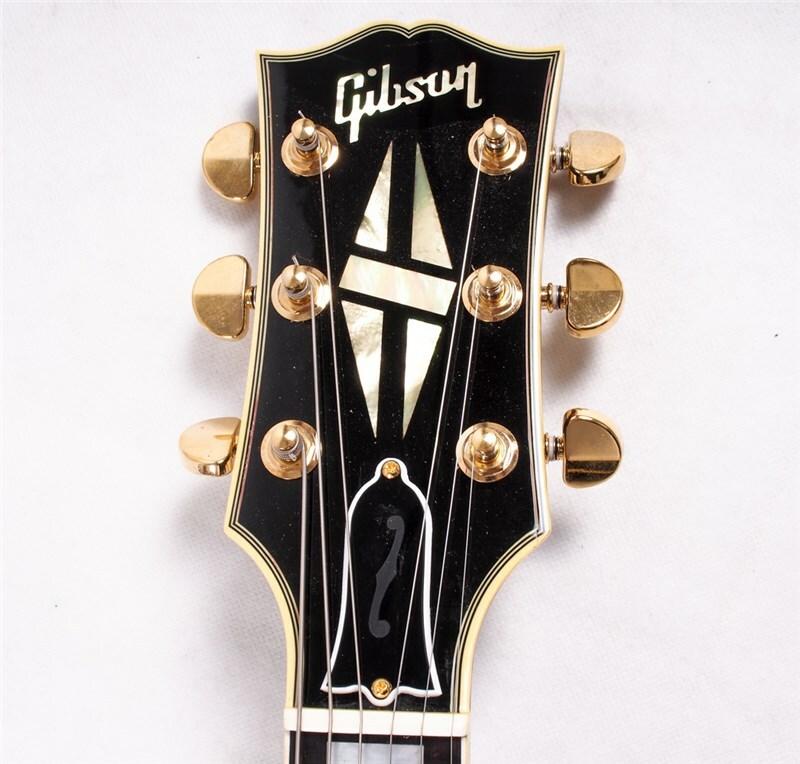 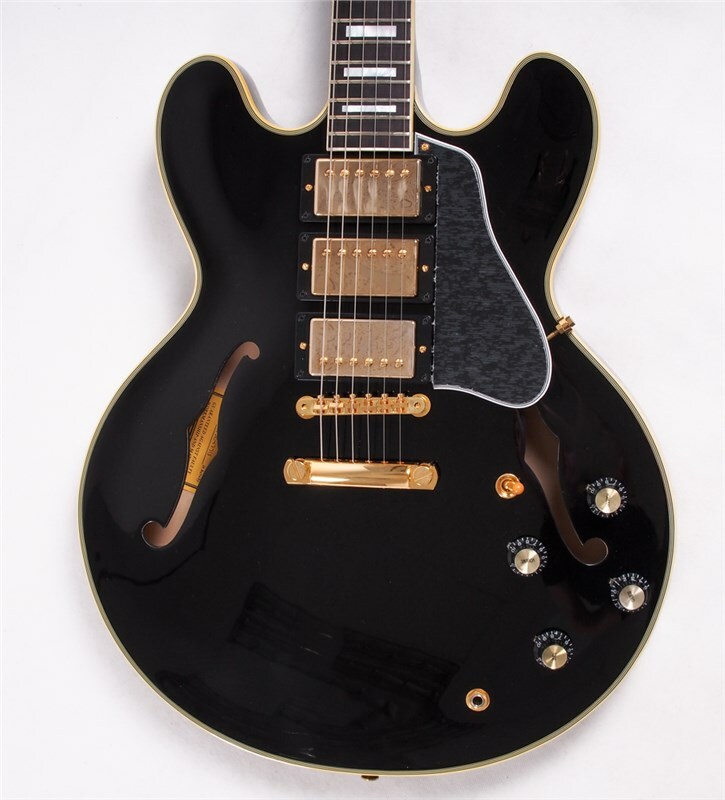 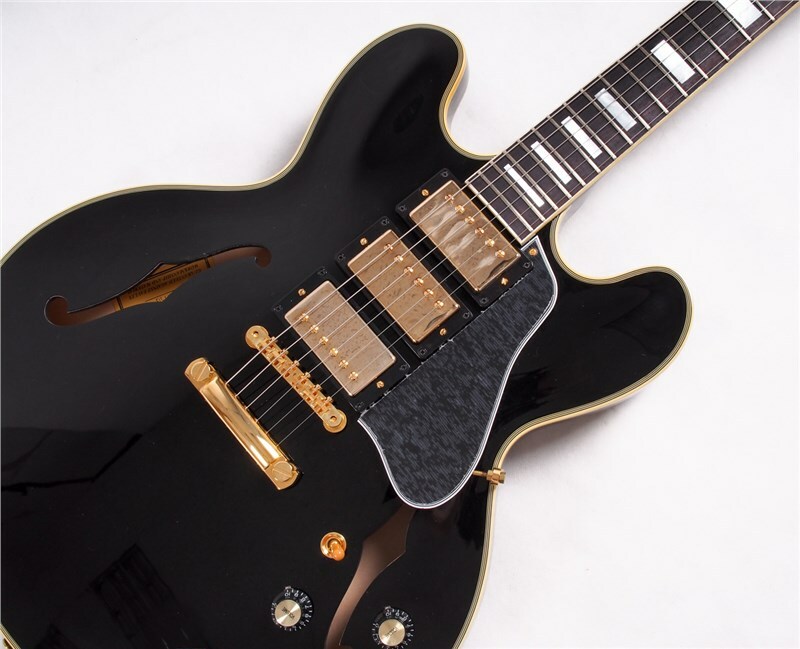 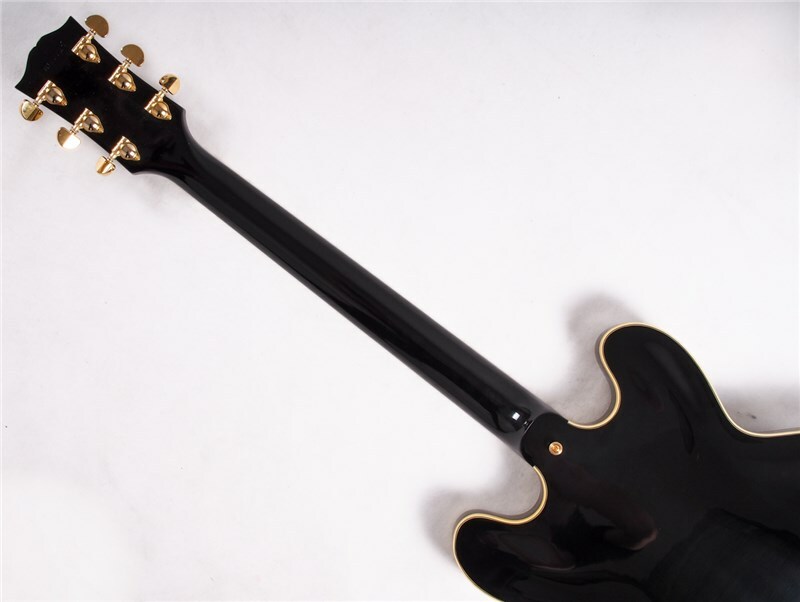 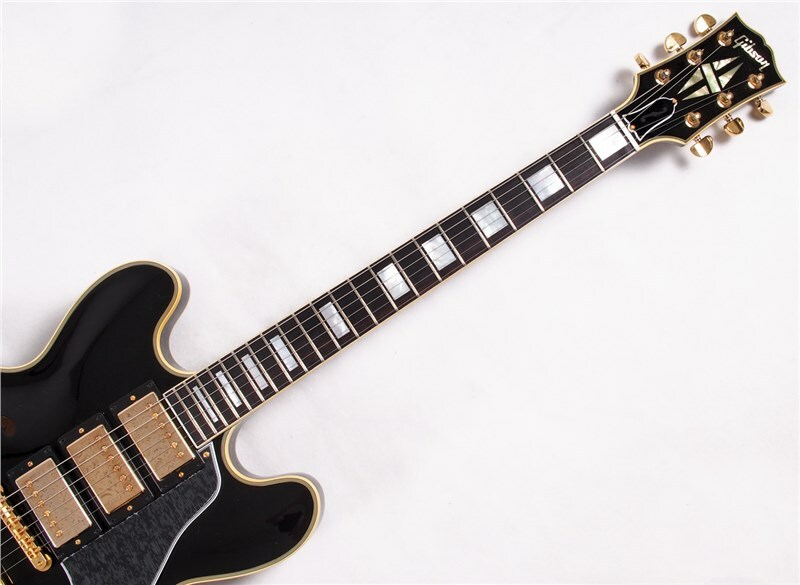 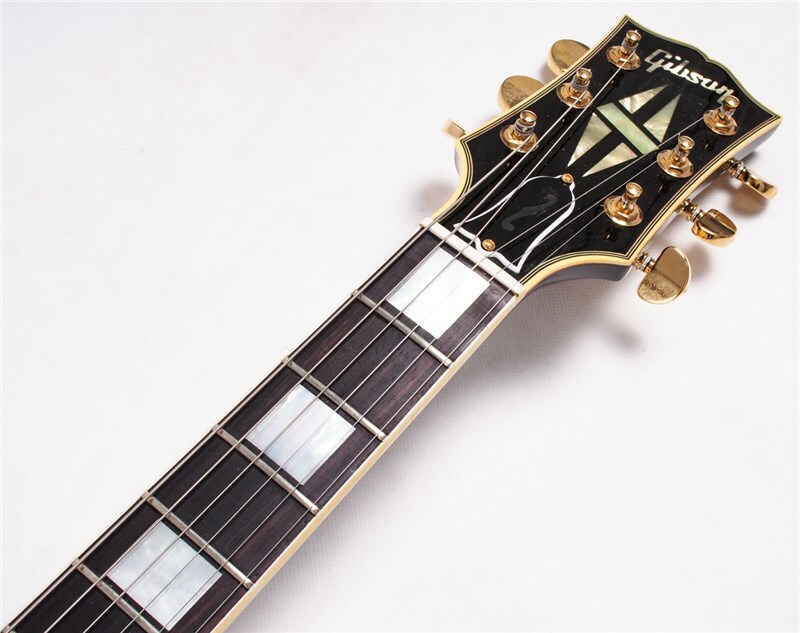 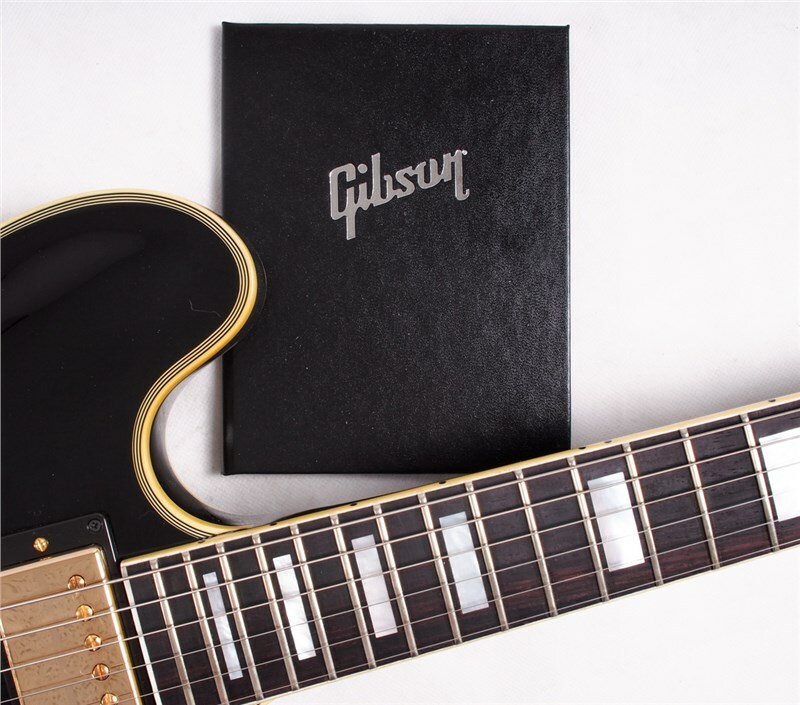 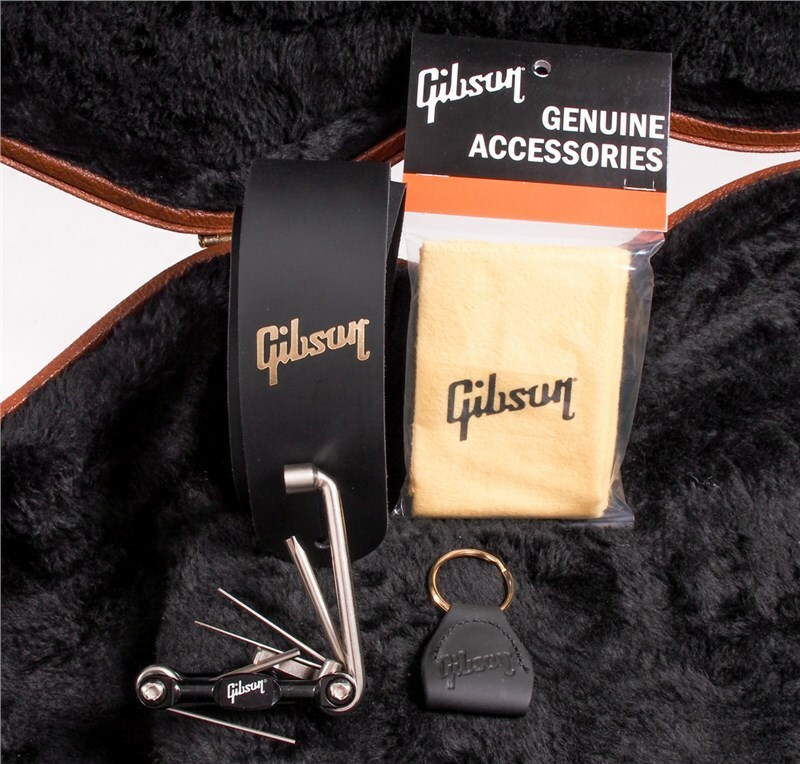 The 2018 Gibson ES-355 Black Beauty is an elegant instrument that pays homage to the legendary Les Paul guitar that was first introduced in 1957. 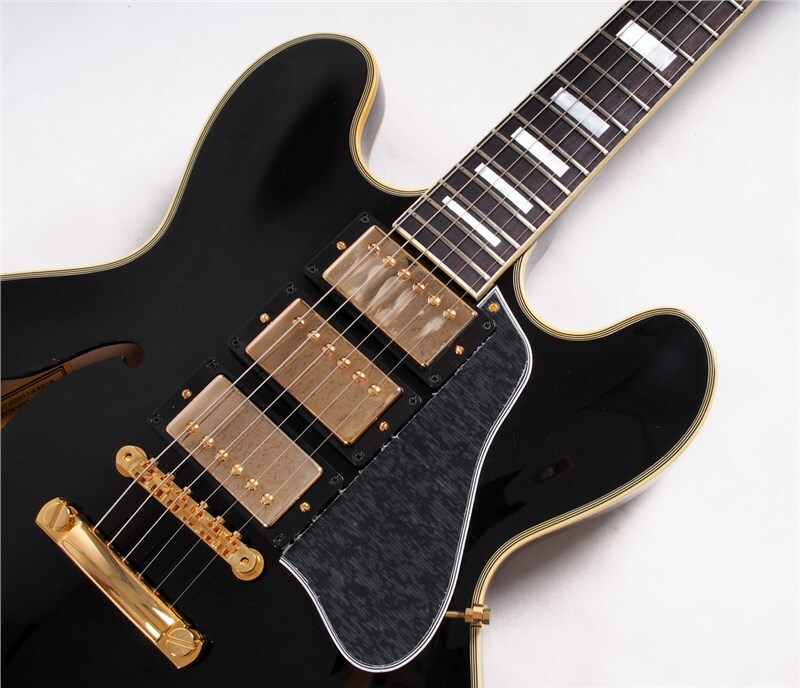 A modified Memphis Premiere Tone Circuit paired with three MHS humbucking pickups provide the incredible versatility of all seven pickup configurations. 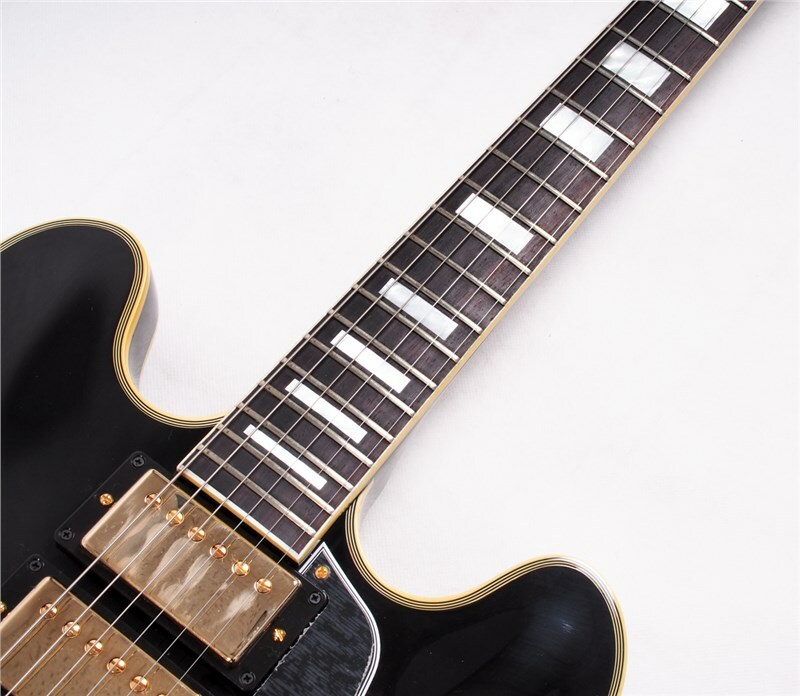 Additional tones can be shaped thanks to an out-of-phase middle position MHS humbucker, and a newly designed MHS bridge pickup with increased output. 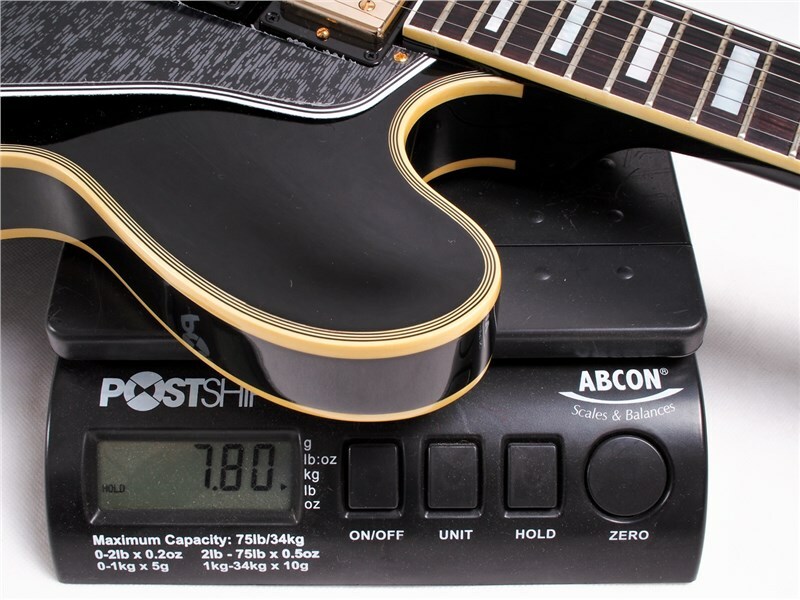 Modern appointments include a weight-relieved maple centerblock, ABR-1 bridge with titanium saddles, Grover "Milk Bottle" Rotomatic tuners, dark rosewood fingerboard, and a bone nut. 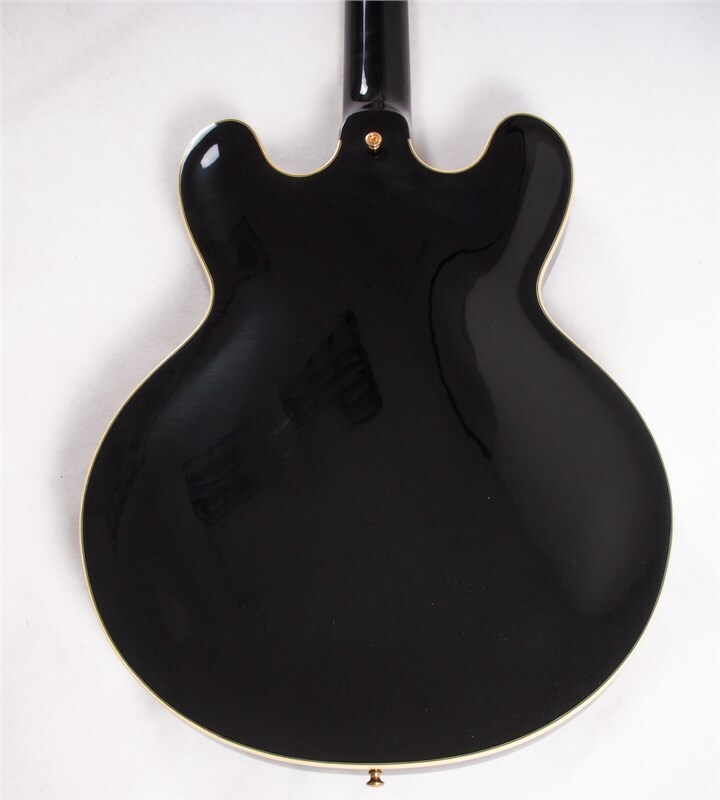 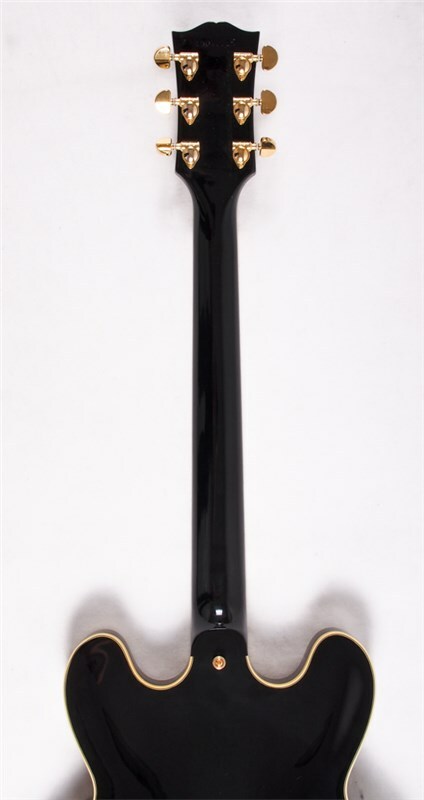 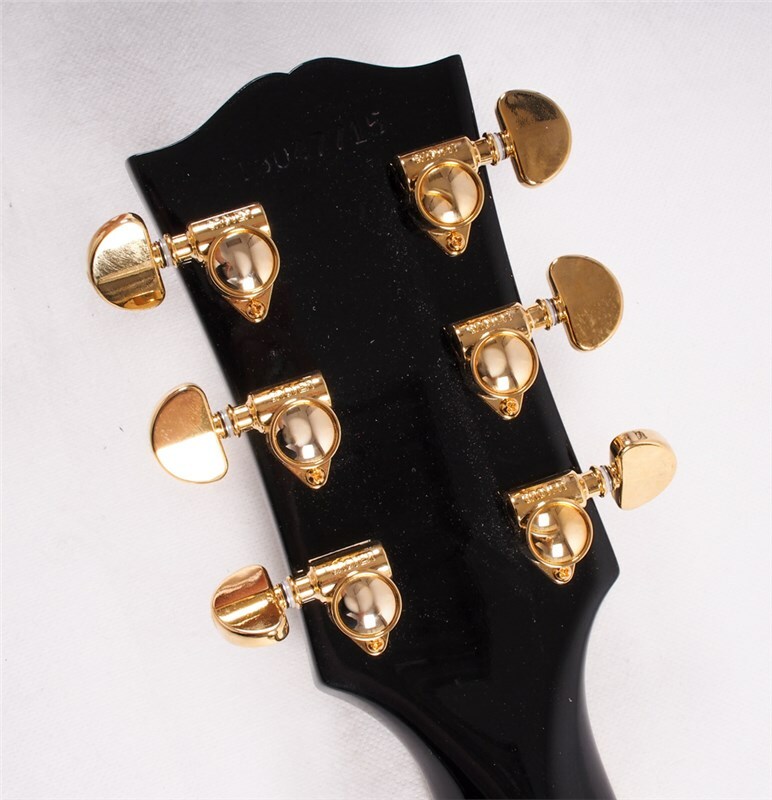 Finished in Ebony with a Gibson Custom peghead veneer, this guitar is a true beauty to behold!